Yes you heard it correctly, you can now actually get rewarded for paying your Credit Card Bills with CRED App. CRED App allows you to pay bills of any type of Credit Cards from any Banks which are issued in India. The best thing about this App is it rewards you on every bill payment of credit card. So now let’s get to know in detail of CRED App. Kunal Shah, The Founder of Freecharge which was later acquired by Snapdeal in 2015 has come up with this all new Credit Card Bill Payment Service App named CRED App. 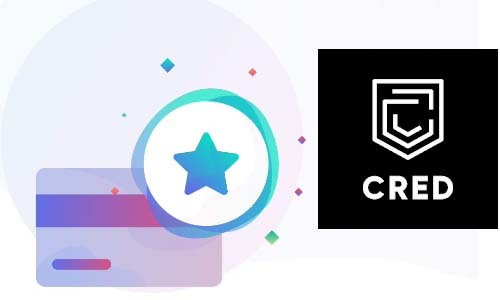 CRED is an App which allows you to earn rewards as “CRED Coins” on paying your every Credit Card Bill. Later on these accumulated points from your CRED App Account can be used to redeem various deals which are available in Rewards Section of CRED App. Apart from CRED Coins it also provides Scratch Card for every Credit Card Bill Payment Done, later on you can Scratch the Cards to redeem cash according to your luck which are accumulated in your account similarly like you see in Google Pay UPI App. So for paying your Credit Card Bills you get rewarded via Scratch Card and CRED Points or Coins. Now let’s move on, on how to install CRED App and Get Rewarded for Killing your Credit Card Bill. Install the CRED App on your iOS or Android Smartphone by visiting CRED Official site. Once the App gets installed on your phone, just launch the application. Just tap on Apply to CRED, and register with your mobile number which is registered with your Credit Card and tap on proceed button. 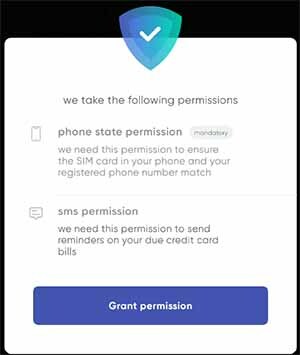 App will prompt you to grant permission for phone state (to ensure SIM Card in the phone and your registered mobile number matches) and SMS (which in needed to send reminder on your due credit card bills), just grant the permissions. You will receive OTP on your registered mobile number, just feed in the received OTP and complete the signup process by submitting your first name, and last name. 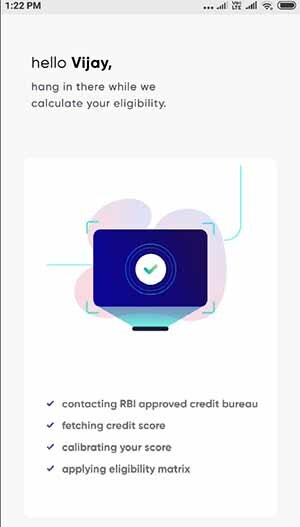 CRED App will check if you are Credit Card holder and is above their accepted Credit Score threshold by connecting to RBI approved credit bureau database. 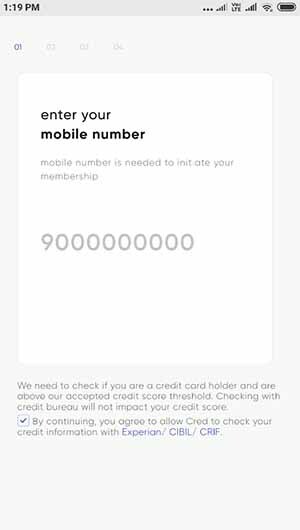 If your credit score satisfies their eligibility criteria then on next screen you are approved message will be displayed showing your credit score. On CRED App home page all your Credit Cards would be displayed. 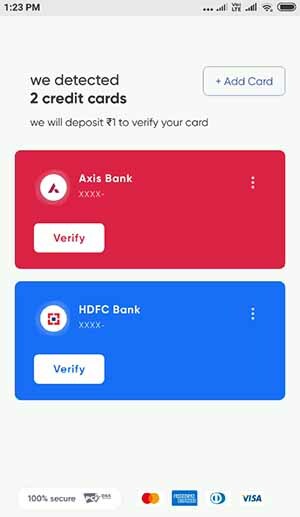 Now will you have to verify your card to add them to the app by entering the masked numbers of the card, to verify your card it would instantly deposit Rs.1 to your card. Once successfully getting your card verified, you can exclusively earn rewards on every bill payment and scratch cards too. Once you have verified your Card in the CRED App you can pay your Credit Card Bill by tapping on pay now button which you can see below your card. Enter the amount which you want to pay and tap on proceed button. Make Payment via Debit Card or Net Banking and you are done paying your Credit Card Bill. Payments are instantly credited to your Credit Card via UPI and IMPS Mode, but during certain circumstances of downtime of UPI or IMPS your payment would be processed via NEFT which would take more time to credit and get the money reflected into your Credit Card Account. On Completion of Bill Payment of your Credit Card, you will be rewarded with CRED Coins and Kill Bill Scratch Card which you will have to redeem. Once you complete Credit Card Payment, you will instantly receive rewards so to redeem the rewards you will have to visit rewards section of the app. To redeem the Kill Bill Scratch Card, just drag down the available scratch card and it will display the amount WON. The amount won would be instantly credited into your Credit Card Account. Now to redeem CRED Points or Coins, you will have to again visit rewards section and browse across the deals which are available like BMS Gift Voucher, IXIGO, and Urban Ladder etc. All deals will show how much points you need to redeem it, so according to your rewards points present in your account redeem or get the deals or else if you don’t have enough points or want to go for higher deals which costs more points than wait until you earn more points. 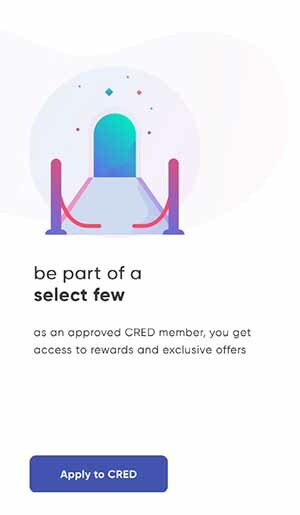 On redeeming the deal, you will be able to see the voucher under claimed rewards section of the CRED App. That’s it this is how easily one can earn rewards and kill the bill scratch cards with CRED App.